ts-awesome-bullhorn Representatives from 175 countries will vote the proposal next year in Thailand. Environment officials from Costa Rica and Honduras on Thursday proposed protections for scalloped hammerhead sharks under the Convention on International Trade in Endangered Species of Wild Fauna and Flora (CITES). “The time has come to regulate international trade of endangered hammerhead sharks,” said Ana Lorena Guevara, Costa Rica’s environment vice minister, while participating at a minister’s council of the Central American Commission on Environment and Development (CCAD) in Honduras from May 9-11. 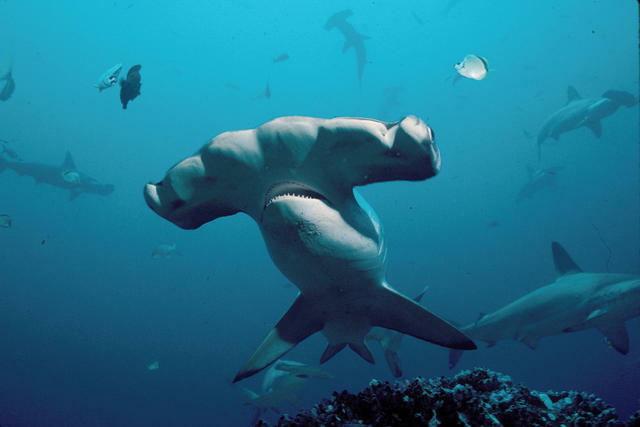 Scalloped hammerheads are listed as endangered by the International Union for Conservation of Nature (IUCN). They are in high demand for shark fin soup and account for about 4 percent of all shark fins in international trade. Government delegates from the 175 CITES member countries will vote on the hammerhead and other possible shark protection proposals at next year’s meeting of the Conference of the Parties to the Convention on International Trade in Endangered Species of Wild Fauna and Flora, which will take place March 3-15 in Thailand.